In my last blog post, I shared this reality: many college career service offices are lame. Too many schools are failing to prepare students adequately for the work world and part of the problem can be traced to moribund career services. A college career services office should be more than a place that students discover in their senior year. It should be more than a place where students can learn how to write a resume or obtain the schedule of corporate recruiter visits. It’s hard to know what an ideal career services when so few exist. Consequently, today I am sharing what Wake Forest University – a true trailblazer in this field – is doing. 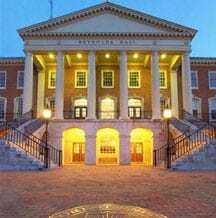 I pulled the following details about the ambitious Wake Forest program from a report, A Roadmap to Transforming the College-to-Career Experience, that I mentioned in my previous post. When you are asking a college or university about how it prepares its students for the work world, compare the response you get to what this trailblazing university is doing. What we need are college administrators across the country to start taking career and personal development as seriously as the folks in Winston-Salem. Transformational change at Wake Forest came from the top. In 2009, as part of his strategic plan, President Nathan Hatch envisioned a campus culture in which personal and career development would be a mission – critical component of the undergraduate student experience. He imagined and set out to ensure an undergraduate experience in which students would gain not only an academic education, but also a career education by utilizing all four years to learn about themselves and their options in the world of work. Soon after, he appointed Andy Chan as the Vice President for Personal & Career Development, the only known cabinet-level career development professional in higher education. Assuming President Hatch’s vision, VP Chan conceived of an innovative, well-resourced office designed to successfully prepare students for the world of work in a comprehensive way. By audaciously aiming to impact every student and to activate the entire college community, a new paradigm for personal and career development was launched. Fast forward to 2013 and the new Office of Personal & Career Development (OPCD) has made huge strides. At a time when the average college has slashed its career office budget by 16 percent, Wake Forest is investing heavily in this critical area. Over the last three years, Wake Forest has raised more than $10 million to invest in a state-of-the art office, unique “College-to-Career” courses, enhances employer relations, and quadrupling the size of its team to address not only career development, but also mentoring, leadership, innovation, creativity, entrepreneurship, family business and professional development. The approach is paying off as 95 percent of the class of 2012 was either employed or attending graduate school six months after graduation, according to first destination survey respondents (78 percent of the student body). importance of utilizing their entire college experience – and not waiting until their senior year. As the name of the office communicates, students must first engage in their personal development and understand the importance of assessing and knowing their own interests, values, beliefs, personality, strengths and goals. Students are encouraged to study themselves and learn frameworks for self -understanding, to explore their personal interests and desires, and think about their values and purpose – asking “Who am I and who do I want to be?” before “What shall I do?” Students achieve this through assessments and mentoring conversations with their respected and influential “adult fans” such as faculty, parents, advisors, mentors, counselors and coaches. Students also have the opportunity to earn course credit for this self-assessment work. With financial and staff support from the OPCD, the academic Department of Counseling offers a series of four College-to-Career Courses with the first focusing on self-discovery. Entitled “Personal Framework for Career Exploration,” this course provides thought-provoking activities, readings and reflections to help students understand their personal strengths, interests, values and beliefs, which strengthen their abilities to make sound career decisions. In the second course, “Options in the World of Work,” students begin the crucial task of understanding the range of careers available and consider which careers will best align with their interests and needs. “Strategic Job Search” is the third course in which students learn about and create professional documents such as resumes and cover letters while learning how to network and interview effectively. In the final course, “Professional and Life Skills,” students consider the concept of a holistic life and learn the practical aspects of independent living such as personal budgeting, basic financial planning, choosing health and insurance benefits and understanding the dynamics and expectation of the 21st century global workplace. Wake Forest is also innovative in its expansive use of LinkedIn in the career exploration process. 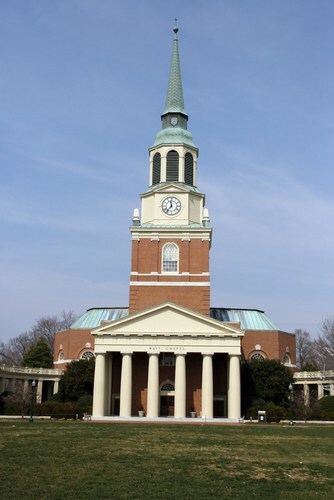 Wake Forest students are taught and encouraged to learn about the world of work through proactive networking and researching. The OPCD has enabled students to utilize LinkedIn to connect with alumni, parents and employers to learn about various careers and industries. During counseling appointments, workshops, courses and instructional videos on the OPCD website, students learn how to create a LinkedIn profile and are taught how to utilize this resource to find informational interview contacts. Additionally, the OPCD has created a LinkedIn group called the “Wake Forest Career Connectors” designed exclusively to connect Wake Forest students with helpful faculty, staff, parents, and alumni in different careers around the globe. Currently, there are more than 6,300 members in the group including approximately 2,000 students, 75 parents, 130 faculty and staff, and 4,100 alumni, and it continues to grow and evolve daily. 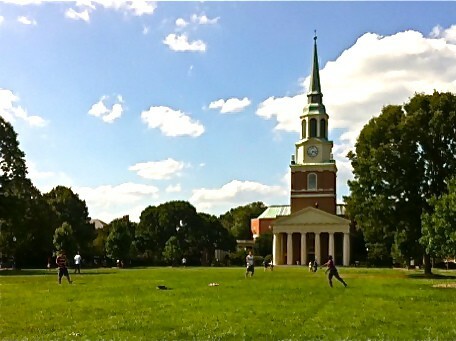 To supplement this digital approach, Wake Forest encourages in-person career exploration outside of campus as well. In new initiatives this year, the OPCD has taken students across the country on a series of career treks and set up job shadowing opportunities for students over fall, winter, and spring breaks. Partnering with Stanford University and the University of Chicago, Wake Forest offered career treks to students in Washington, D.C., Chicago, and San Francisco. Fifteen students from each school attended each trek where they became familiar with companies in the respective cities, expanded their and were able to explore the city as a potential destination for themselves after college. With similar objectives in mind, Wake Forest also offered a job shadow day with companies in North Carolina for more than 60 students over fall and spring breaks. Wake Forest alumni have played a significant role in providing opportunities like these to students. 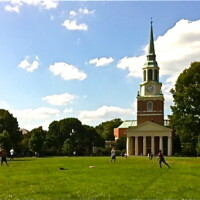 A signature feature of the Wake Forest model is its College-to-Career Community. The OPCD partnerswith faculty, advisors, parents and alumni to provide career guidance and support to Wake Forest students. This community complements the resources and programs offered by the OPCD and enables students to ask for and receive important information from the people they trust most. Over the last three years, the office has met with hundreds of faculty and partnered with every single academic department in the college to provide a career-elated event. connect their academic disciplines to the world of work. A final, yet crucial component of the OPCD’s offerings has been the detailed, transparent reporting of student outcomes – by academic program and by major. All constituencies highly value this information for making decisions about major and career direction. Subsequently, the perception of the career office rises when these constituencies have data that reflects the mantra that a liberal arts education is highly valued. Through this reporting, all community members begin to buy into this new approach as they see evidence that it is working and they can see the wide range of career outcomes of their own students. NOTE: I will be holding a college workshop at the University of California, San Diego on June 22. You can learn more about the event and how to sign up by heading to my workshop page. Lynn O.